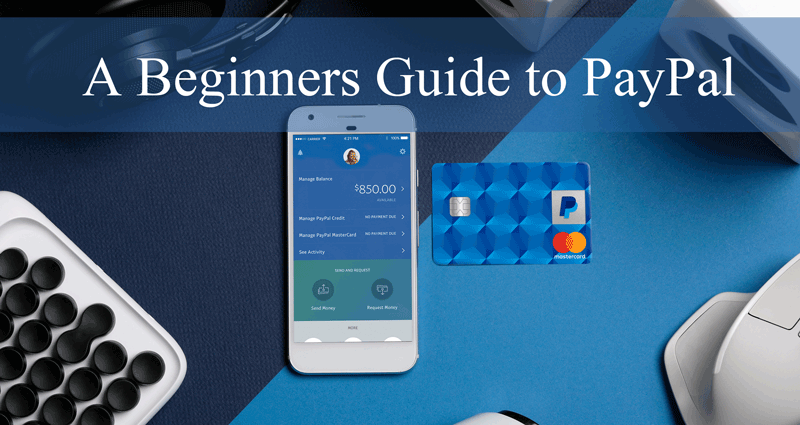 Wondering How to Get Started with PayPal? Go no Further. Our PayPal Beginner Video Tutorials will Walk You Through Each Step of the Way. PayPal, a secure online payment processing system, is not only a simple platform to use but is also internationally recognized with 300 + million users globally. Whether you are starting a small business, love online shopping or intend on selling some goods on a marketplace, PayPal will allow you to send and accept funds with ease. Being the most recognized name in online payments, offering PayPal on your website will provide customers with the assurance they need to make a purchase. We’ll start by creating a personal PayPal account but once you’ve got a feel for the platform, taking the leap from a personal account to a business or premier account is simple. The benefits of having a PayPal account seem to always outweigh the negatives of having one. Whether you intend on using your account daily, or just as a once off to send some money to a niece or nephew for their birthday, sending and receiving money with PayPal is hassle free. You’ve agreed that PayPal is the right choice for you to accept and send money online. Now what? We’ll start by creating our personal account. Once that’s done, keep following along with our beginners tutorials that’ll introduce you to further PayPal features. If you are learning about PayPal with intentions to accept payments from customers on your website, our 10th and 11th video tutorials will help you enable PayPal IPN and PDT. Sit back and relax and learn a thing or two or even three about the PayPal payment gateway. 1. How to Create a Personal PayPal Account? Watch the following short tutorial to help you set up your personal PayPal account. 2. How Can I Send Money from My PayPal Account? Are you wanting to send money to your family, friends, employees or a seller? Watch the following tutorial to guide you as you send money from your PayPal account. 3. How Can I Receive Money in My PayPal Account? Have you recently been sent money on PayPal? The following tutorial will show you where you can locate money in your PayPal account by transaction ID. 4. How Can I Withdraw Funds from My PayPal Account? Do you need to withdraw money from PayPal into your bank account? Watch the following video to learn how. 5. How Can I Update My Linked PayPal Credit Card? Have you been issued a new bank card? PayPal may have already notified you that you need to update your linked credit card. Watch the following tutorial to learn how you can easily update your linked PayPal credit card details. 6. How Can I Send Money from My Bank Account to PayPal? Do you wish to have some PayPal funds to spend online? The following video demonstrates how money can be transferred from a bank account straight into a PayPal account. 7. How Can I Delete My PayPal Account? Have you opened another PayPal account and wish to delete your old account? Watch the video below for instructions on how you can delete your PayPal account. 8. Why is There a Pending Payment in My PayPal Account? Can you see a pending payment in your PayPal account? Find out what a pending payment is and when this payment will clear by watching the tutorial below. 9. How Can I Make a PayPal Mass Payment? Do you have multiple employees that you wish to pay at once? Find out more about PayPal’s mass payment tool in the video below. 10. How Can I Enable PDT (Payment Data Transfer) in My PayPal Account? Do you have a website where you need to enable PDT? See our demonstration below to find out how. 11. How Can I Enable IPN (Instant Payment Notification) in PayPal Account? Are you using an eCommerce solution where PayPal IPN needs to be enabled? Watch out video below to find out how. 12. How Can I Re-Send a PayPal IPN Message? The following video tutorial shows you how to resend the PayPal IPN message. This is useful if the original IPN message was missed (or blocked) for some reason and you need to resend it.